Cristiano Ronaldo, known as CR7, is not only one of the best football player in the world, but he is also one of the most stylish athletes of today’s generation. Since his debut, the soccer star has inspired millions with different hairstyles year after year which later got the signature names like ‘Ronaldo hairstyle‘. Most loyal fans remember 2003 when Ronaldo started playing and moved to Manchester United having a very messy hairstyle, with some sort of weird braiding coming out of his hair. 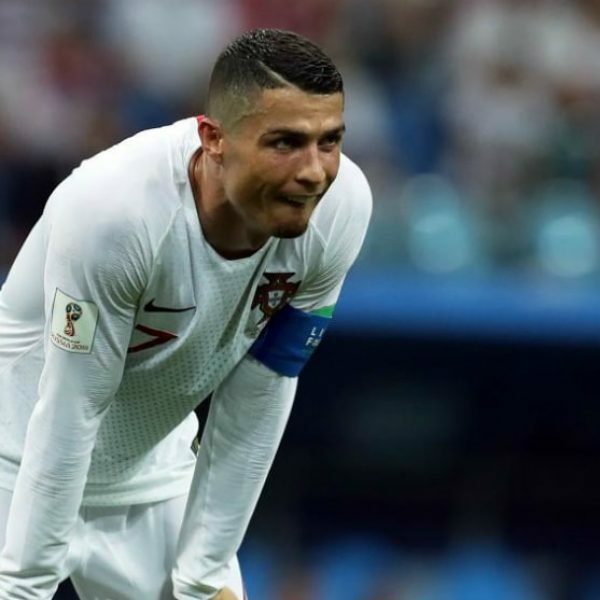 By nature, Ronaldo’s hair gets curly, so his barber uses a technique to overcome that and creates small layers to avoid hair piling up in those areas. And as he continues to become older his haircut is still a topic of discussion as he always seems to come up with something new. He is always creating trends among his fans and stands out for putting his own touch to fashionable men’s hairstyles making them bolder and more striking. Here is the old days’ photo of Ronaldo with messy hair with long bangs. Ronaldo adds a whole new twist to faux hawk hairstyle and made it look like an entirely new style with deep razor side part. Another day Ronaldo showed up with a mullet hairstyle and fans went absolutely crazy. One day Ronaldo appeared with a unique razor carved zig zag on sides. Some believe he has carved his national number and others think he did this for a child he donated his money to. Cristiano’s comb-over hairstyle is very popular among fans, the hair on top are neatly side parted with the sides cropped close to the skin, giving off a very decent and neat look. This vintage hairstyle is perfect for formal events and we have seen Ronaldo attending them. This neat slick back haircut pairing with a suit will make you look magnificent and like a true gentleman. Leave the sides short and keep the top part of your hair longer for styling. The longest part of your hair should be cut bluntly and unevenly. The back shouldn’t be as short as the sides, leave it a little longer. Put a little hair wax or gel in your hands and rub together. Then apply the product from the middle of your hair lengths out to the tips and tilt them to the left side. For a disheveled effect don’t use any combs, just your fingers. To hold your style, apply some hairspray from arm-length. Cristiano Ronaldo hairstyle is best for men with an oval to square face shape. The hair texture must be medium to thick and if your hair is curly then you may need too much product to keep these styles in place. We’ve put together a collection of the best Cristiano Ronaldo hairstyles he has ever had, check it out!